Welcome to Ken Sei Kan Karate and Kobudo USA. Located in Sacramento, California. Ken Sei Kan Karate and Kobudo USA's mission is to teach karate as it was passed down from Master Katsumasa Chinen. 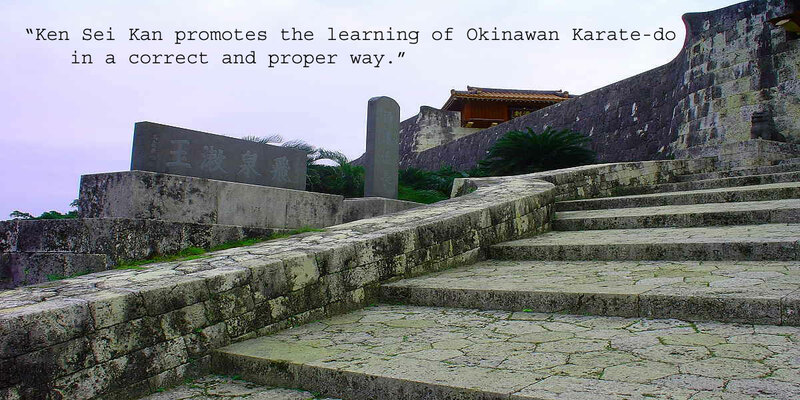 Students will learn the art of karate as it was done in Okinawa. Ken Sei Kan Karate and Kobudo is based on the teachings of its founder, Master Katsumasa Chinen 10-Dan. Master Chinen learned primarily two style of karate directly from Okinawan karate masters Hohan Soken (Shorin Ryu) and Kanei Uechi (Uechi Ryu). Master Chinen passed control of Ken Sei Kan to Steve Harrington, and promoted Harrington Sensei to 10 Dan. In Okinawa 2005, Master Chinen and Harrington Sensei awarded the rank of 5-Dan and a Shihan (Teacher's) certificate to Anh Truong. Then in 2010, Anh was promoted to 6-Dan and awarded the degree of Renshi. Anh Truong has over 24 years of experience in karate. He has been a karateka since 1988. Contact Anh Truong (6-Dan Renshi) for any information regarding Ken Sei Kan USA. Send mail to Anh.Truong@KenSeiKanUSA.com with questions or comments about this web site.